A "magnificent book" (Sebastian Junger) and "monumental achievement" (Mitchell Zuckoff) that tells the epic story of the world's last subsistence whalers and the threats posed to a tribe on the brink "An extraordinary feat of reportage and illumination." --Leslie Jamison, The Empathy Exams. "From the very first lines, I was riveted." --Robert Moor, On Trails. "A true work A "magnificent book" (Sebastian Junger) and "monumental achievement" (Mitchell Zuckoff) that tells the epic story of the world's last subsistence whalers and the threats posed to a tribe on the brink "An extraordinary feat of reportage and illumination." --Leslie Jamison, The Empathy Exams. "From the very first lines, I was riveted." --Robert Moor, On Trails. "A true work of art . . . Lyrically written and richly observed." --Michael Finkel, The Stranger in the Woods. "Intimate and moving." --Francisco Cantú, The Line Becomes a River. "Remarkable, gorgeously written." --Bronwen Dickey, Pit Bull. On a volcanic island in the Savu Sea so remote that other Indonesians call it "The Land Left Behind" live the Lamalerans: a tribe of 1,500 hunter-gatherers who are the world's last subsistence whalers. They have survived for half a millennium by hunting whales with bamboo harpoons and handmade wooden boats powered by sails of woven palm fronds. But now, under assault from the rapacious fores of the modern era and a global economy, their way of life teeters on the brink of collapse. Award-winning journalist Doug Bock Clark, one of a handful of Westerners who speak the Lamaleran language, lived with the tribe across three years, and he brings their world and their people to vivid life in this gripping story of a vanishing culture. Jon, an orphaned apprentice whaler, toils to earn his harpoon and provide for his ailing grandparents, while Ika, his indomitable younger sister, is eager to forge a life unconstrained by tradition, and to realize a star-crossed love. Frans, an aging shaman, tries to unite the tribe in order to undo a deadly curse. And Ignatius, a legendary harpooner entering retirement, labors to hand down the Ways of the Ancestors to his son, Ben, who would secretly rather become a DJ in the distant tourist mecca of Bali. Deeply empathetic and richly reported, The Last Whalers is a riveting, powerful chronicle of the collision between one of the planet's dwindling indigenous peoples and the irresistible enticements and upheavals of a rapidly transforming world. One family, one heart, one action, one goal. Lamaleran saying Lembata, in Southeast Asia, is home to the Lamalerans who arrived there 500 years ago. They settled on the beach under a cliff, surviving by fishing for sperm whale and Manta ray and flying fish. Those who are successful in the hunt share with aging family members and community members. They are one of the few hunter-gatherer societies left in the world. But industrialized society is crowding in on them. Their children are enticed to t One family, one heart, one action, one goal. Lamaleran saying Lembata, in Southeast Asia, is home to the Lamalerans who arrived there 500 years ago. They settled on the beach under a cliff, surviving by fishing for sperm whale and Manta ray and flying fish. Those who are successful in the hunt share with aging family members and community members. They are one of the few hunter-gatherer societies left in the world. But industrialized society is crowding in on them. Their children are enticed to the cities for education and jobs. Some remain for the air conditioning and running water. Outboard motors and smaller boats are replacing the handcrafted boats propelled by oar and the young carry cell phones. In the middle of the typhoon is life--Lamaleran song The songs were more than music—they were prayers. from The Last Whalers Over three years, Clark spent a year living with the Lamalerans, participating as a community member, even eating manta ray brains. The whalers risk their lives to kill the whales by jumping off their boats and using their body weight to drive long-handled spears deep into the animals. The ropes attached to the spears can entangle a man. The whales fight back, overturning the boats. It is all quite horrendous and brutal. But without the whale meat, the people starve. The dried meat get them through the hunger months. They trade the dried meat for rice and vegetables with the people at the top of the hill who are farmers. The Last Whalers is marvelous because readers come to know these people intimately. A young man dreams of becoming a harpooner, the most honored position in their society, yet also dreams of life in the city. A young woman receives an education but committed to care for her elders must return to the village. The elders must preserve the old ways and knowledge while accepting that change is inevitable. To leave the village is to also leave the unity of one family, one heart, one action, one goal. It is hard to walk away from the strength of community to live in isolation with only yourself to depend upon. Clark respects their traditions and way of life, noting that we should honor all cultures and be able to take the best each has to offer, learning from each other, cultural diversity perhaps essential to the survival of humanity. The Lamalerans’ experience, then, speaks not just to the danger faced by earth’s remaining indigenous peoples but to the greater cultural extinction humanity is suffering. from The Last Whalers Preserving the old ways and values in a changing world--it is what we all are dealing with, the universal challenge. I received a free ebook from the publisher through NetGalley in exchange for a fair and unbiased review. The Last Whalers is an absolutely extraordinary work. Clark’s portrayal of the Lamalerans, a hunter-gatherer tribe inhabiting a remote Indonesian island, is both fascinating and moving. He expertly shows how the Lamalerans hunt the largest carnivore in history, the sperm whale, using centuries-old technology. By having lived amongst the tribe across three years, the author is able to describe the hunts in stunning and dramatic detail, with the insight of someone intimately familiar with not only The Last Whalers is an absolutely extraordinary work. Clark’s portrayal of the Lamalerans, a hunter-gatherer tribe inhabiting a remote Indonesian island, is both fascinating and moving. He expertly shows how the Lamalerans hunt the largest carnivore in history, the sperm whale, using centuries-old technology. By having lived amongst the tribe across three years, the author is able to describe the hunts in stunning and dramatic detail, with the insight of someone intimately familiar with not only the mechanics of the process, but also the history, culture, and people of Lamalera. The stories of the Lamalerans themselves are even more gripping--from a young orphaned whaler waiting for his big break to an aging legendary harpooner struggling to understand his son’s resistance to the traditional way of life. They bravely stand up to the forces of modernization, largely refusing modern technology that would make the hunts easier and far less dangerous, and relying on bartering and gift-giving instead of paper currency. They hold on to the ways of their ancestors, believing that their tradition--however inconvenient--contains their essence, and that by giving it up, they may lose what it means for them to live. The Last Whalers reminds us to consider what we may be losing as we welcome the latest technology and conveniences with open arms. As modernization and globalization threaten the Lamaleran way of life, Clark richly illustrates how they navigate balancing tradition and progress in a way both exotic and familiar. No doubt, the ways of the Lamalerans are vanishing, as are those of thousands of other indigenous people around the world. The Last Whalers details the lives and culture of a fascinating tribe while also provoking us to contemplate where we come from and what may be lost without a conscious effort. The forces of globalization, for better or worse, are unstoppable. But The Last Whalers helps us pause to celebrate the diversity and resilience of humanity that the Lamalerans exemplify. Reading it was an incredibly moving--and much needed--journey. Unfortunately, this was just far too much mundane detail than I cared to read. It is all detail, with no plot or distinctive characters. The Outside magazine article is enough for me. Moreover, I don't agree at all with the author's editorial stance on the Lamalerans and the importance of their whaling culture, and his arguments were so unpersuasive as to turn me off. It is an interesting cultural portrait still—occasionally, very interesting—and I appreciate the work that went into it; but I ca Unfortunately, this was just far too much mundane detail than I cared to read. It is all detail, with no plot or distinctive characters. The Outside magazine article is enough for me. Moreover, I don't agree at all with the author's editorial stance on the Lamalerans and the importance of their whaling culture, and his arguments were so unpersuasive as to turn me off. It is an interesting cultural portrait still—occasionally, very interesting—and I appreciate the work that went into it; but I can't recommend this for a casual reader. Remarkable. Clark paints a vivid and unflinching portrait of life for a community in Indonesia that is - in ways large and small - wrestling with their hunter-gatherer past and an encroaching modern culture. Rather than romanticize the indigenous for its own sake (as many Westerners seem prone to), Clark allows the community to share their own multi-faceted views on their lives...as they were, as they are, and as they imagine them to be. A true accomplishment. This is a rich and wonderfully crafted book. Clark does an excellent job of laying out the intricacies of the tribe's history, blending of local beliefs and Catholicism, personal relationships, and factors pushing individual people and larger change. There is a lot of detail, but he creates a story that allowed me to still keep track of all the players and micro and macro scales described. Certain situations were painted with such amazing detail I could see the hue of the water blending into tha This is a rich and wonderfully crafted book. Clark does an excellent job of laying out the intricacies of the tribe's history, blending of local beliefs and Catholicism, personal relationships, and factors pushing individual people and larger change. There is a lot of detail, but he creates a story that allowed me to still keep track of all the players and micro and macro scales described. Certain situations were painted with such amazing detail I could see the hue of the water blending into that of the sky, the baby flying fish zipping away from the spray of the jonson boat. Clark's level of dedication to the town, it's people, and documenting their story is readily apparent across the entire story and in the note at the end. I found the book fascinating. This was an extraordinary, and difficult, book to read. The Lamalareans are an indigenuous society, located at the far eastern tip of Indonesia. For centuries, their way of life had not changed, and their religion, culture and society were intertwined with the Way of the Ancestors. The Way provided them with all their physical and spiritual needs. And then the modern world intruded. The author describes their culture and life through some individual members of the tribe who we get to know, and t This was an extraordinary, and difficult, book to read. The Lamalareans are an indigenuous society, located at the far eastern tip of Indonesia. For centuries, their way of life had not changed, and their religion, culture and society were intertwined with the Way of the Ancestors. The Way provided them with all their physical and spiritual needs. And then the modern world intruded. The author describes their culture and life through some individual members of the tribe who we get to know, and through them the reader sees the stresses of balancing the ancestral ways with the impact of their collision with the modern world and their efforts to adjust to this new world. As subsistence whalers, their life is deeply entwined with the natural world, and the rhythms of that world. The description of the hunt, what an honor it is to be the harpooner of the whales, and the knowledge and skills needed to be successful, is compelling. The bravery of the crews, who hunt whales using traditional iron and bamboo harpoons to capture huge sperm whales, is astonishing. For someone from the Western world who is completely separated from the hunter/gatherer society its a brilliant picture of a different way of life. The description of the killing of the whales and other marine animals, how they are harpooned, killed and rendered is difficult to read. The Lamalareans are subsistence hunters, and as such, they recognize the value and worth of the animals they are killing, and have a respect for them that is an integral part of their culture. Some of the intrusions from the modern world the Lamalareans are dealing with is overharvesting of species by commercial fishermen, and the desire of organizations such as the World Wildlife Fund and The Nature Conservancy to reduce or eliminate the whale hunt. I certainly don't like to see marine animals killed, but, stopping the hunt would almost certainly end the Lamalarean way of life. 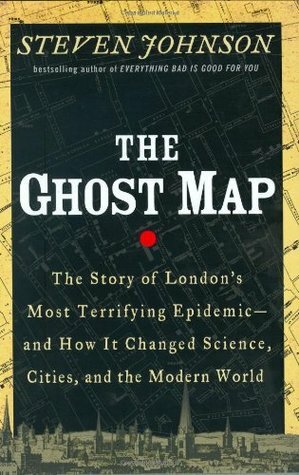 As I say, this was a tough book to read, but highly recommended. 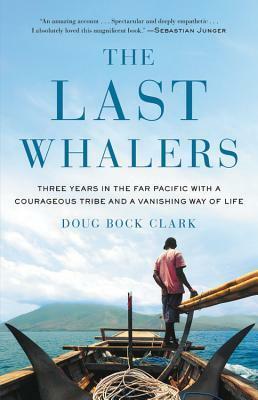 For three years journalist Doug Bock Clark lived on a remote Indonesian island with the Lamalerans, a tribe of some 1,500 who, as the world's last subsistence whale hunters, harvest their food (sperm whales when they're lucky but also manta rays, porpoises, and whale sharks) by leaping from their handcrafted oar-powered boats (called tena) and plunging a harpoon into their prey. So they're basically fighting whales in the water. This is dangerous! For human and whale. Broken bones abound, and de For three years journalist Doug Bock Clark lived on a remote Indonesian island with the Lamalerans, a tribe of some 1,500 who, as the world's last subsistence whale hunters, harvest their food (sperm whales when they're lucky but also manta rays, porpoises, and whale sharks) by leaping from their handcrafted oar-powered boats (called tena) and plunging a harpoon into their prey. So they're basically fighting whales in the water. This is dangerous! For human and whale. Broken bones abound, and deaths, though the only person we come to know in these 300+ pages who dies is killed by a massive devil ray; the creature wraps its wings around its attacker and dives to drown him. The Lamalerans are true hunter-gatherers: all food killed is shared, there's no money exchanged (even trade with other tribes, specifically an agriculture-based culture who live up the mountain, is done via barter; they give whale jerky, they get grains and veggies), and family-clans (not class) are the basic organizing principle. But also, of course, it IS the mid-2010s, and the modern world, in all of its capitalistic glory, has been encroaching for some time. This dynamic provides the central macro-tension of the book, but it's the story of individuals--we follow a couple of families very closely--that really drives the narrative, as well as serving to make larger points about society, humanity, determination, belief, values, traditions, etc. By the way, these people are not in any way "exotic", they just do and believe slightly different things than, probably, you. Clark does a great job with all of this, resisting the urge to romanticize or patronize, and the tales of the hunt (there are probably a half dozen) are undeniably exhilarating, even as they end with a churning sea red with blood and thick with viscera. The author spent time over three years with the isolated Lamalaren tribe of Eastern Indonesia, learning their language and culture (at least as much as he could) to the point where some of them considered him a part of their tribe. Not only does he write about the trials and tribulations of the hunter gatherer tribe (whale hunting with spears and wooden boats--can it get more adventurous? ), but he writes of the struggles the tribe has had and will be having in an ever encroaching western/technol The author spent time over three years with the isolated Lamalaren tribe of Eastern Indonesia, learning their language and culture (at least as much as he could) to the point where some of them considered him a part of their tribe. Not only does he write about the trials and tribulations of the hunter gatherer tribe (whale hunting with spears and wooden boats--can it get more adventurous? ), but he writes of the struggles the tribe has had and will be having in an ever encroaching western/technological world. It's one part historical narrative, one part exploring your world, and one part conservation. I thoroughly enjoyed it! Now, some quotes: "Row calmly, row tranquilly, as the waves are loosed upon the shore. Daydream calmly, daydream tranquilly, in the middle of the typhoon of life. In the middle of the typhoon of life." "The modern industrial lifestyle did not colonize the world because it was the best at fulfilling the emotional and spiritual needs of human beings. No. It conquered everywhere because advanced societies were stronger than traditional ones, and those in power rapaciously sought peoples, territories, and resources to further enrich themselves. Once industrialism had established itself, it offered enough significant advancements in material wealth, education and health care to ensure that there was no going back. The benefits of modern states still prove irresistible to indigenous peoples in a contemporary world, often luring them away from their traditional lifestyles. After all, what person would prefer to scrub clothes on a board as opposed to dropping them in a washing machine? There is no citizen of say, The United States or Japan, who would ever want to return to the high levels of infant mortality, shortened life spans, food insecurity, and the ever present threat of violence that hunter gatherers have historically endured. And some disadvantaged individuals in traditional communities, from women to low caste groups, would unsurprisingly prefer to overturn the social order that keeps them down. Even in positive scenarios, however, not all development is beneficial. Progress also means that something is left behind. At least half of change is always loss. The craze in advanced societies to reconnect to our past selves, from paleo diets to new age spiritualism to wilderness retreats to the many ways in which we romanticize indigenous peoples, suggests that citizens of those nations intuit that they are missing something. The worst forms of modernity look a lot like an addiction, and perhaps the ways of the ancestors are an antidote. The debate about the benefits of a hunter gatherer lifestyle versus a modern one, is often framed as a determination of which one is absolutely better. But that approach misses the point. Both lifestyles have advantages and disadvantages. Instead, we should be asking what each type of society can learn from the other. For tho people of all cultures like to declare their way of life the natural one, no modern or traditional lifestyle is inevitable. It is possible for us to pick what is best from one, while rejecting what is bad from the other. This is what the Lamalareans are doing at the Council on the Beach. Their great heroism is that they are striving, despite overwhelming odds, to control the process that has hijacked all of humanity. Our ability to determine how technology and globalization shape us, may turn out to be essential to human happiness, and even survival. So far, modernity has not been a well thought out process. Rather, it has been a series of impulsive leaps at each new technological advance. A process that has happened to us, instead of one that we have controlled. Is it possible for modern societies to implement their own Council on the Beach? No matter what, it is an ethical imperative to preserve traditional cultures, and thereby to protect the Earth's most vulnerable peoples. Even the most casual observer is aware that globalization has been an immensely inequitable process. With its greatest rewards flowing to the elites capable of capturing them, while vast swaths of 370 million indigenous peoples world wide have emerged worse off. Deprived of their ancestral livelihoods and support networks, in exchange for the lethal poverty of urban slums or plantations. Nations and corporations, which are often the ones harming traditional groups, thinking they know what's best for them, must empower them to make their own choices. By making it possible for each person to choose his or her own path, we may be making it possible for us to save ourselves in the future. After all, each traditional culture represents a centuries long natural experiment in determining the best way to survive in a particular environment, often guarding knowledge that western science has not even guessed at. Just as ecological diversity is important for the health of an ecosystem, so cultural diversity may prove essential for the resilience of humanity. Should a fatal weakness in the mono-culture of globalization ever be revealed. And when a traditional culture like the Lamalerans vanishes, it is a tangible diminishment in the number of ways it is to be human. A contraction in the possibilities inherent in our species, and therefore in each of us. To protect traditional societies is to guarantee each person's right to live the way that is most spiritually rewarding to him or her. A right every human deserves." This is an honest "warts and all" portrait of one of the last surviving hunter-gatherer cultures on the planet. 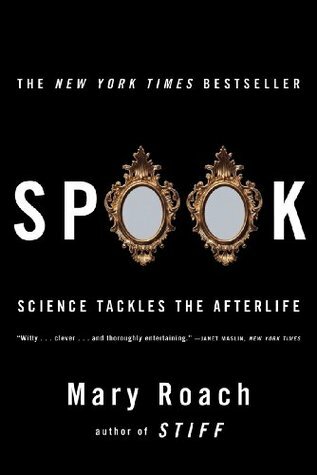 It reads a little more like a novel than most typical anthropology books, which most people will probably like even though I personally don't prefer that writing style. He does a good job describing them without romanticizing. Not all environmentally-minded westerners will love the way these people live. I know I'm definitely not a fan of killing whales and dolphins, and now that mercu This is an honest "warts and all" portrait of one of the last surviving hunter-gatherer cultures on the planet. It reads a little more like a novel than most typical anthropology books, which most people will probably like even though I personally don't prefer that writing style. He does a good job describing them without romanticizing. Not all environmentally-minded westerners will love the way these people live. I know I'm definitely not a fan of killing whales and dolphins, and now that mercury pollution is bioaccumulating at the top of the ocean food chain I wouldn't expect their diets to be too healthy either, but it still makes me sad to see so many simpler cultures like this fading away. People really should keep an open mind about this stuff. Consider the fact that one sperm whale can potentially feed something like 100 people for a year, as well as provide a lot of their cooking and lighting fuel. Other whaling cultures, like the Inuit, even used the bones to build their shelters. Also consider how much more damage our infinite growth economy has caused to cetaceans even when we don't directly hunt them. Even compared to modern vegans, traditional whale hunting was by far a more eco-friendly lifestyle. Now that these people are being dragged into modernity, adopting gas-powered motors, nylon nets and cell phones and things, they're contributing a little more damage than they otherwise would have, but they're still better than us in most ways that really matter. I'd much rather that they be left to live this way than be forced into becoming tour guides for the rich idiots that are really destroying the environment. This is a remarkable book. Clark depicts the Lamalerans in an intimate and honest way, as only someone who dedicated time over years, getting to know the people, their culture, and even learning their language, could. The writing style is absolutely beautiful—I found myself re-reading sentences just to absorb and appreciate the delightful way that Clark strings words together. From the vivid depictions of whaling expeditions to illustrations of the internal struggles of people torn between custo This is a remarkable book. Clark depicts the Lamalerans in an intimate and honest way, as only someone who dedicated time over years, getting to know the people, their culture, and even learning their language, could. The writing style is absolutely beautiful—I found myself re-reading sentences just to absorb and appreciate the delightful way that Clark strings words together. From the vivid depictions of whaling expeditions to illustrations of the internal struggles of people torn between custom and modernization, this is journalism at its best, reading like a novel that you can’t put down. You get to know the characters—their hopes and dreams and flaws—and become invested in their stories and choices. 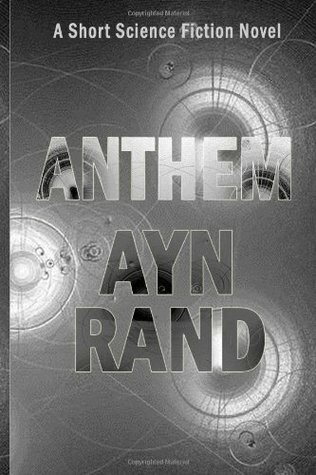 Additionally, this book brings up important and relevant questions for all of us to ponder—with the rapid pace of technological advancement and globalization, what are we losing, and what is worth fighting for? This is a book that everyone can appreciate, enjoy, and learn from—for its beautiful, descriptive language; its candid portrayal of real people and their challenges; and—despite being about a community so different from ours—for its relatable, timely themes of identity, progress, and tradition. A review I had read that led me to this book discussed the beauty of its writing first, the crafting of the story told, and the rare skill of description wielded by its author, and that the narrative, though incredible, and the reporting, though truly timely and exotic, were even outshined by the gifts of Doug Bock Clark. For the most part, I concur; this is a gorgeously told story by a master craftsman, but I would argue that the story itself, and most important the characters in the story are A review I had read that led me to this book discussed the beauty of its writing first, the crafting of the story told, and the rare skill of description wielded by its author, and that the narrative, though incredible, and the reporting, though truly timely and exotic, were even outshined by the gifts of Doug Bock Clark. For the most part, I concur; this is a gorgeously told story by a master craftsman, but I would argue that the story itself, and most important the characters in the story are clearly what inspire the beautiful writing. This is a human story - a story about humans navigating the world around them - navigating relationships, family, expectations, traditions, opportunities, social judgements, aspirations, and change. Once I started, I wanted to be reading this tale whenever I was not, and when the final pages were all I had left, I found several reasons to stop reading simply so that it would not end. I miss the characters. I want to go back. Thank you, Mr. Clark, for taking me to Lamalera. Clark lives among the Lamalerans, a hunter-gatherer group in Eastern Indonesia. They have merged Catholicism and their own beliefs to interpret a changing world. They are especially identified via their whale hunts and their truly cooperative and democratic way of life. But that lifestyle is under great pressure from the industrialized world. Clark presents a vibrant picture of this world by focusing on several people, men and women, younger and older, traditional and modern. His writing enables Clark lives among the Lamalerans, a hunter-gatherer group in Eastern Indonesia. They have merged Catholicism and their own beliefs to interpret a changing world. They are especially identified via their whale hunts and their truly cooperative and democratic way of life. But that lifestyle is under great pressure from the industrialized world. Clark presents a vibrant picture of this world by focusing on several people, men and women, younger and older, traditional and modern. His writing enables us to feel for these folks and get excited as they go and hunt whales. Clark does opine on the impact the industrial world has on hunter-gatherers and other non-industrialized peoples. Some of this, while accurate and thought provoking, somehow detracts from the overall, well written narrative. It would be nice for Clark to revisit this place in maybe 20 years and tell us how the Lamalerans are doing and what happened to some of the people he introduced us to. This book was a quality reminder of my days as a Peace Corps Volunteer, when I lived far away in Thailand, immersing myself in another culture. Similarly, Clark lives among the Lamalarans, a small tribe on one small island in Indonesia. He is drawn to their culture's generosity, clearly shown in how they divide up the spoils of whale hunts, which they are allowed to do for subsistence purposes. (He was living on a nearby island when he saw the Lamalarans do this, then spent three years with them This book was a quality reminder of my days as a Peace Corps Volunteer, when I lived far away in Thailand, immersing myself in another culture. Similarly, Clark lives among the Lamalarans, a small tribe on one small island in Indonesia. He is drawn to their culture's generosity, clearly shown in how they divide up the spoils of whale hunts, which they are allowed to do for subsistence purposes. (He was living on a nearby island when he saw the Lamalarans do this, then spent three years with them.) He documents their culture, mostly through the lens of a few key characters, and describes how the Lalalarans are at a crossroads: they are at once an ancient tribe guided by "The Ancestors" and a group of individuals who are realizing that the modern world is full of fascinating things. Can they have both? History shows that it doesn't look good for their traditional ways, but...so far, so good. What an amazing book that allows the reader to enter a world in modern times that is rooted far in the past. Clark takes us inside the life of the tribe, families and into the day to day challenges of individual tribe members. They are hunters and they face their large prey in close proximity and often plunging onto an animals back to place a harpoon. And if it were not enough to see these people's lives intimately over a three year period, Clark also makes real and nuanced the choices the indiv What an amazing book that allows the reader to enter a world in modern times that is rooted far in the past. Clark takes us inside the life of the tribe, families and into the day to day challenges of individual tribe members. They are hunters and they face their large prey in close proximity and often plunging onto an animals back to place a harpoon. And if it were not enough to see these people's lives intimately over a three year period, Clark also makes real and nuanced the choices the individuals must make as they decide whether to adhere to an age old way of life or enter the modern world. 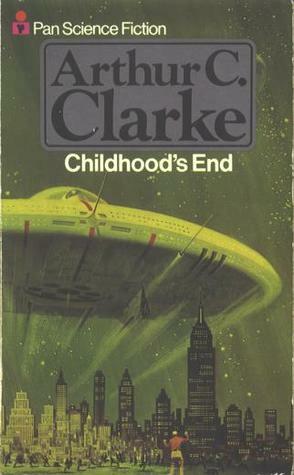 Clark has offered up an engaging and enlightening book. I gave it my sincere best shot but I couldn’t get past the Cetacean extermination. I know, I know the Lamerlans live a subsistence lifestyle totally based on harvesting whales, dolphins, etc. They are a brave and resilient people whose impact on the global Sperm whale population is a rounding error. No issue with their lifestyle. Indeed I hope they survive culturally intact. But I just couldn’t take reading about the individual whale killings. Gruesome as they were and described in disturbing de I gave it my sincere best shot but I couldn’t get past the Cetacean extermination. I know, I know the Lamerlans live a subsistence lifestyle totally based on harvesting whales, dolphins, etc. They are a brave and resilient people whose impact on the global Sperm whale population is a rounding error. No issue with their lifestyle. Indeed I hope they survive culturally intact. But I just couldn’t take reading about the individual whale killings. Gruesome as they were and described in disturbing detail, it just broke my heart and I had to stop reading. I won a copy of this book. These are the kinds of book I really love to win and read. It's such a remarkable story about a tribe of people on the verge of, basically, extinction. The outside world is encroaching on them and they're losing to what it has to offer. The youngsters in the tribe don't want to worship the old ways. Doug Bock Clark spent 3 yeas living with this remote tribe. He pieced their stories together and wrote this amazing book. Such a good read! 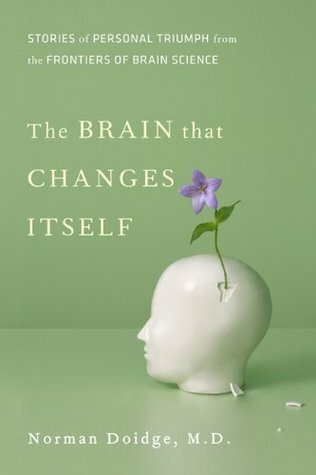 I received a free advance reading copy of this book via the Goodreads Giveaways program and would like to thank anyone involved in making that happen! I am completely fascinated by indigenous cultures and this book provides a stunning look inside the Lamaleran tribe of whale hunters in Indonesia. It follows the stories of a few families over a period of several years and focuses on how the Lamalerans as a group are struggling with ever encroaching modernization and the subsequent threats to their I received a free advance reading copy of this book via the Goodreads Giveaways program and would like to thank anyone involved in making that happen! I am completely fascinated by indigenous cultures and this book provides a stunning look inside the Lamaleran tribe of whale hunters in Indonesia. It follows the stories of a few families over a period of several years and focuses on how the Lamalerans as a group are struggling with ever encroaching modernization and the subsequent threats to their way of life. 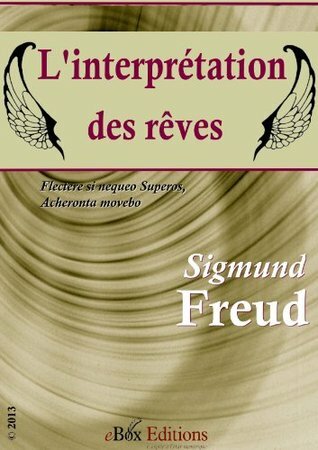 The author states in the afterword that he tried to remain in the background of the story as much as possible and I think that he succeeded in this effort. I felt like I really got to know and care for the families depicted in these pages and was struck by how universally human some things are. The fact that I could relate to these people whose lives differ so drastically from mine in almost every aspect is a testament to the power of the writing. There is also an element of breathtaking action/adventure writing to this story. 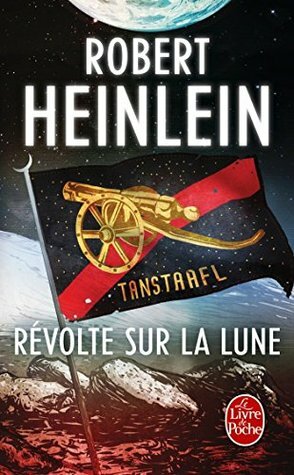 The hunt depictions, particularly the one that the book opens with are so well drawn that I found myself completely caught up in the excitement. Highly recommended!